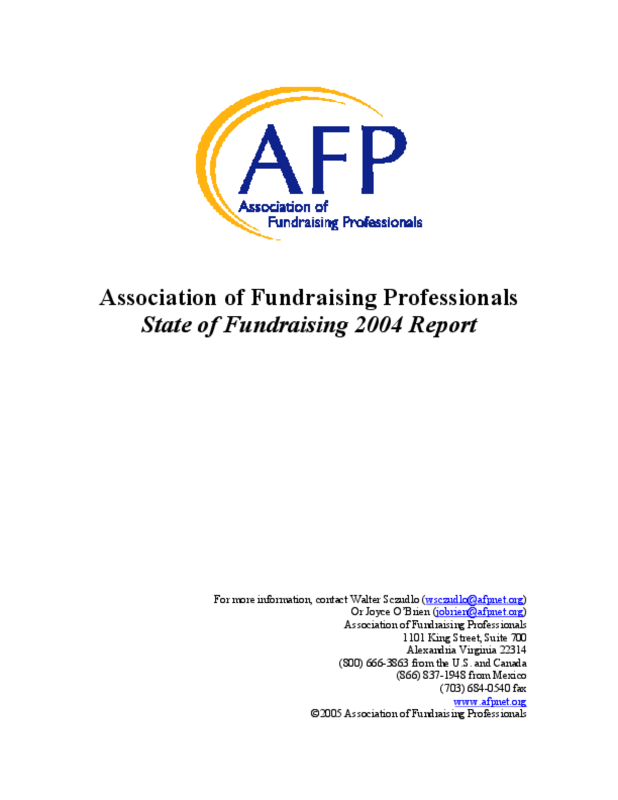 This report is based on responses to an email survey of AFP's members conducted in February and March of 2005. A random sample of two pools of AFP members (3,000 from the United States and 2,500 from Canada) received an email directing them to a special website through which they entered their responses. All respondent data has been kept strictly confidential. There were 188 Canadian responses and 343 U.S. responses for an overall response rate of about 9.6 percent. The respondents represent a broad range of organizations in terms of budget size and practice setting. This is the fourth in a series of reports to track the annual year-end state of fundraising in the charitable sector.